Currently we have an ongoing children's class beginning Sept 10, 2018. 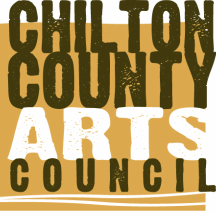 Interested parties may contact Maria Hosmer at mhosmersbcs@gmail.com or email the Arts Council directly at chiltoncountyartscouncil@gmail.com. If you are interested in taking or teaching a particular class, please let us know.